Impress your guests this holiday season with enough tasty punch to keep a crowd refreshed! 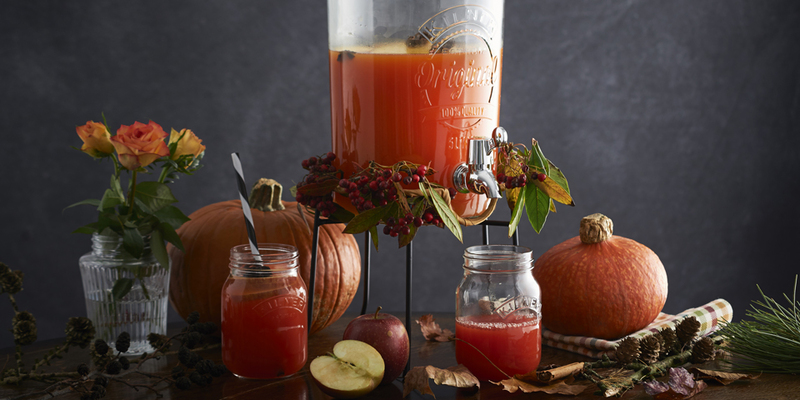 Open your Kilner® Drinks Dispenser and pour in the caramel syrup. Top up the dispenser with the apple cider. Stir in the pumpkin spice. Add thinly sliced apples and cinnamon sticks. Clip the top closed and store until you’re ready to serve. When ready to serve, open the clip top lid then turn the tap to dispense.